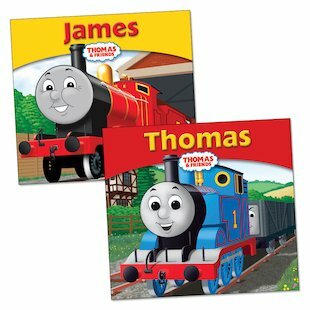 Just the job for little railway enthusiasts, these appealing mini storybooks introduce Thomas the Tank Engine and his friend James the Red Engine. Thomas is a cheeky, hard-working little engine … but what he would love most of all is to be a Really Useful Engine with his own branch line! James the Red Engine has a splendid bright red coat of paint, but can he stop himself from getting a big head? Read these rich and satisfying stories to learn all about life on the railway… and to see just what makes Thomas and James tick! Realistically bringing to life everyday dramas in an exciting railway setting, and full of handy lessons about how to behave from day to day, these timeless classics will soon become two of your youngster’s best friends! Copy Edward using the squares. Which of Thomas’ friends is this? Join the dots to find out.